Affordable Life Insurance from an Honest Company. 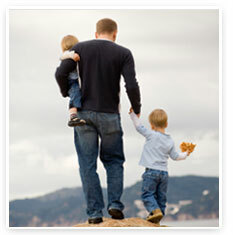 OneLifeInsurance.co.uk provides you with unparallel level of service and protecting your privacy is vital to us. OneLifeInsurance is fully committed to providing you with service which is personalised and highly meets your expectations. The following policy statement outlines how we may collect and use your information and will give certain assurances on things we will not do. (b)information about your computer and about your visits to use of our website. Information regarding your IP address,length of visit and number of page views, location, browser type, referral source. a) to help provide you with quotations, administer your policy and for compliance reviews. b) Our website OneLifeInsurance.co.uk collects your Personal Information and pass it on to Life Insurance Providers. To opt out of any future communication or emails from our company OneLifeInsurance.co.uk you can send an email to info @ OneLifeInsurance.co.uk. This will remove you from our contact list. OneLifeInsurance.co.uk is a marketing website and is not authorised to give financial advice. We may collect personal information about you which you give to us when you use our Services, for example, in order to obtain a quote for life insurance. The provision of the Services to you may also require us to store details of your transactions, together with details of your financial information. We will periodically review your personal information to ensure that we do not keep it for longer than is necessary. d.to process a transaction between you and a third party. c.other third parties either where necessary for those third parties to provide additional products or services requested by you or with your prior consent. b.our trusted business partners, whose products and services may save you money.